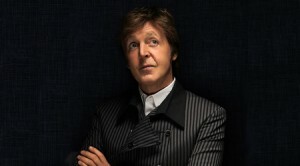 PaulMcCartney.com is very pleased to announce that Paul will receive a star on the Hollywood Walk of Fame on Feb. 9, 2012. Hollywood, Calif. – Continuing with Hollywood’s 125th birthday celebration, the Hollywood Chamber of Commerce is proud to announce that music legend Paul McCartney will be honored with his star on the Hollywood Walk of Fame. McCartney’s star will be lined up on the famed walk alongside his fellow Beatles, Ringo Starr, George Harrison and John Lennon in front of the famed historic Capitol Records building located at 1750 N. Vine Street. The event coincides with McCartney’s forthcoming release of Kisses on the Bottom. A concert will stream live on Thursday from Capitol Studios. Paul McCartney was born in Liverpool on June 18, 1942. He was raised in the city and educated at the Liverpool Institute. Having changed the world of music forever with The Beatles, McCartney has continued to push boundaries for more than 40 years as a solo artist, member of Wings, Brit award-winning classical composer, half of the experimental project The Fireman, and composer for the New York City Ballet with last year’s classical work Ocean’s Kingdom. His newest adventure is Kisses On The Bottom (out February 7 on Hear Music/Concord),a collection of standards beloved to Paul since childhood as well as two new McCartney compositions ‘My Valentine’ and ‘Only Our Hearts.’ Created with the help of Grammy Award-winning producer Tommy LiPuma and Diana Krall and her band—as well as guest appearances from Eric Clapton and Stevie Wonder—Kisses On The Bottom is the first record in McCartney’s historic oeuvre to feature him almost exclusively on vocals. Since writing his first song at the age of 14, McCartney has always followed his own unique muse while changing the course of musical history. It’s borderline ludicrous to attempt to describe the past, present and future impact of The Beatles and their legendary albums Please Please Me, With The Beatles, A Hard Day’s Night, Beatles For Sale, Help!, Rubber Soul, Revolver, Sgt. Pepper’s Lonely Hearts Club Band, The Beatles (a/k/a The White Album), Yellow Submarine, Abbey Road and Let It Be—so suffice to say that The Beatles’ 1 compilation was the biggest selling album of the first new millennial decade of 2000-2010. Paul’s output through the ‘70s to the present has been one of unflagging energy and influence, debuting as a solo artist with 1970’s timeless McCartney followed by 1971’s rustic classic RAM by Paul and Linda McCartney,then with Wings efforts including the currently Grammy-nominated Band On The Run, Venus and Mars, Wings at The Speed Of Sound and London Town, and following that as a solo artist again, with highlights including the ahead-of-its-time 1980 reinvention McCartney II, 1982’s Tug Of War, 1989’s Flowers In The Dirt, 1997’s Flaming Pie, 2005’s Chaos And Creation In The Backyard and 2007’s Memory Almost Full. In 2008, The Fireman, his collaborative project with revered producer Youth, released Electric Arguments, which generated rave reviews, yielded a live favorite of the current McCartney set list in ‘Sing The Changes,’ and topped the Billboard Independent Album Charts. A 14-time Grammy winner and recipient of The Recording Academy’s Lifetime Achievement and Trustees Awards, McCartney’s list of accolades reads like no other: 2012 will see Paul adding MusiCares Person of the Year to this unrivalled list when this special award is presented to him on February 10. It will recognize both his incomparable creative achievements and his lifelong commitment to charitable work, which includes decades’ worth of philanthropic activities for PETA, LIPA, One Voice, The Vegetarian Society, Nordoff Robins and Adopt-A-Mine-Field—not to mention his participation in historic benefit concerts including Live Aid in 1985, The Concert for New York City in 2001, and Live 8 in 2005. 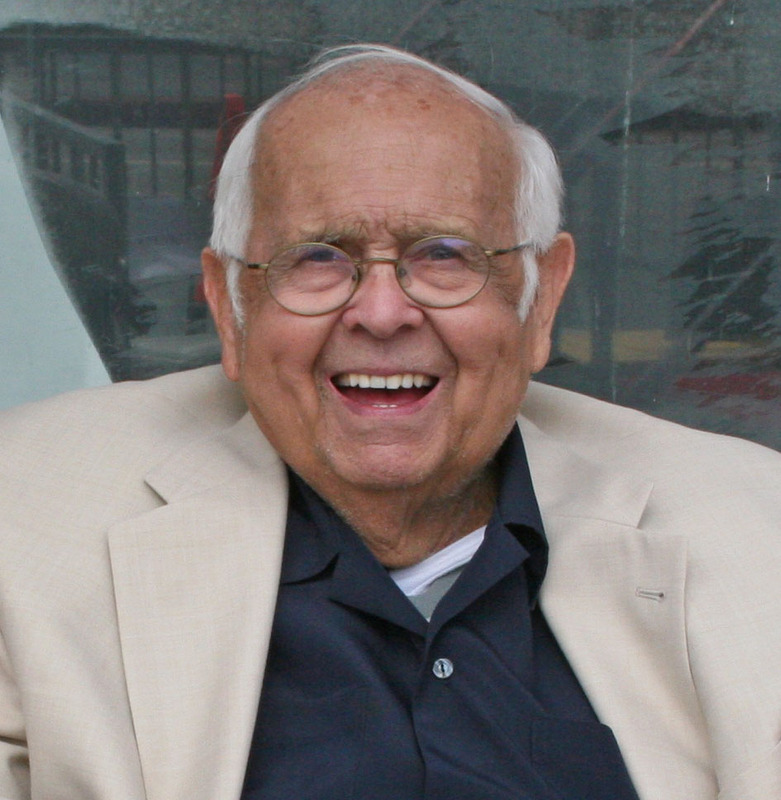 Hollywood, Calif. – Born May 9, 1923, Hollywood’s Honorary Mayor Johnny Grant is perhaps best remembered as one of Hollywood’s most enthusiastic supporters for more than 50 years. On Jan. 9, 2012, Hollywood marked the fourth anniversary of Grant’s passing with a wreath on his star on Hollywood’s Walk of Fame. His legacy of service lives on and the honorary mayor remains one of Hollywood’s most beloved icons. With his signature deep radio voice and affable charm, Grant arrived in Tinseltown as a young man during Hollywood’s Golden Era of the 1940s. “I was inspired by Mickey Rooney and the boys when I came out to Hollywood as a G.I.,” Grant told me in 2003 on his 80th birthday. “I knew I was never going to live anywhere else but here,” Grant reminisced. Always hands on with all of his projects, Grant went on to serve as Chairman of the USO Selection Committee and the Hollywood Historic Trust. He not only created what was to become part of Hollywood’s history, but had been a long-time supporter for preserving Cinema City’s past. To that end, Grant was appointed to a four-year term on the City of Los Angeles’ Cultural Heritage Commission. The last time I saw Johnny: Margie Anne Clark pictured with Hollywood’s Honorary Mayor Johnny Grant on Hollywood’s Walk of Fame, Summer of 2007. When spectacular Hollywood special events were presented, more often than not Johnny Grant could be found at the helm. He served as chairman and executive producer of the Hollywood Centennial Celebration, orchestrating Hollywood’s year-long 100th birthday extravaganza. He added his special charm and touch to many a Hollywood Christmas Parade, helping to direct festivities and recruiting stars. During the 2004 parade, he brought me on board as a volunteer and I observed Hollywood’s honorary mayor at work driving himself on his speedy golf cart making sure everything would be on cue. Of his last USO tour to Guantánamo Bay in 2007, Grant remained a dedicated as ever. He toured the facility flanked by an entourage of beautiful Victoria Secret models – his quick sense of humor ever in place. “It’s a tough job but somebody’s gotta do it,” Grant said. Thank you Johnny, for living your life to the fullest. Hollywood salutes you! Hollywood, Calif. – Hollywood luminaries lit up Tinseltown Wednesday during an evening that celebrated the Hollywood Walk of Fame’s 50th anniversary – culminating a year long celebration of Hollywood’s legacy as the Entertainment Capitol of the world. Memories of the storied Hollywood Boulevard were brought vividly to life by stars whose careers spanned the Golden Era of Hollywood. Mickey Rooney and his wife Jan address a crowd of fans during the Hollywood Chamber’s 50th Anniversary celebrations of the Hollywood Walk of Fame at Hollywood and Highland. Photo by Margie Anne Clark Among the celebrity guest speakers was Mickey Rooney, an iconic actor with more than 350 film credits to his name, and four stars along the Hollywood Walk of Fame. Hollywood, Calif. – Louis Prima must have been smiling in heaven as his star on the Hollywood Walk of Fame was unveiled Sunday, on what would have been the iconic King of Swing’s 100th birthday. Set amidst the bustling backdrop of the Ricardo Montalban Theater on Hollywood and Vine, the unabashed spirit of Prima shook the pavement as the late jazz singer’s son, Louis Prima Jr. and the Witnesses – and the lovely Sarah Spiegel dazzled the crowd with such familiar ballads as “I Ain’t Got Nobody,” “Buona Sera, Zooma-Zooma,” “Jump,Jive And Wail.” Prima’s children, Louis Prima Jr. and Lena Prima accepted the Star on behalf of their legendary father. The late Prima’s centennial star unveiling coincided with the day-long “Walk the Walk” Community Festival in Hollywood Honoring the Hollywood Walk Of Fame’s 50th Anniversary. Louis Prima remains one of the greatest contributors to popular music and a powerful entertainment influence during the past eight decades. A new era of music began when Louis left his hometown of New Orleans, Louisiana and launched his recording career in 1933 in Chicago with upbeat renditions of Dinah and Chinatown. He defined the early Swing Era in New York and Hollywood with his New Orleans Gang and had an incredible output of recordings and appearances in films and on stage between 1934-39. The Prima recordings of It’s The Rhythm In Me, Lazy River, and his own immortal composition Sing, Sing, Sing (also a Benny Goodman hit) had legions of fans swing dancing from The Famous Door on 52nd Street in New York to the hottest spots in Hollywood. The swing trend escalated and grew thanks to Prima’s driving force. His music skyrocketed in popularity, eventually surpassing the sales of the number one band at the time, Guy Lombardo and his Royal Canadians. Louis and his twenty-two piece orchestra scored a tremendous hit in 1944 with a million-seller entitled Angelina. He topped the charts throughout the Big Band Era with Majestic, Hit, RCA, and Robin Hood label recordings of Robin Hood, I’ll Walk Alone, Josephina, Please No Squeeza Da Banana, Baciagaloop, Felicia No Capicia, Civilization, Oh Babe, and many others. The King of Swing made entertainment history during this time, breaking all house attendance records wherever he performed across the nation. During the golden age of jazz, Prima composed A Sunday Kind of Love in 1946, and the song became a hit during four decades and six different musical genres including Swing, Doo-Wop, Rock & Roll, Rhythm & Blues, Jazz, and Country! The song would appear on the charts for many other prominent artists who also recorded this Prima standard. With his musical comedic flair, Prima was one of the founding fathers of the Las Vegas entertainment scene. He downsized his big band in 1954, and created a small group that he named The Witnesses. Prima’s shuffle beat, combined with New Orleans Jazz, was a predecessor to what became the Rock & Roll sound of the 1950s. The string of hits on Capitol Records that followed included ‘Just a Gigolo,/I Ain’t Got Nobody, ‘Buona Sera, Zooma-Zooma, Jump,Jive, And Wail, When You’re Smiling,’ and many others. Louis was also awarded the first Grammy award in the Vocal Group category for his knockout rendition of ‘That Old Black Magic’ with Keely Smith and Sam Butera & The Witnesses in 1958. In 1963, he fulfilled one of his lifelong dreams: Prima Magnagroove Records, his own recording studio and record company. He would record for his Prima Label from 1963 through 1975. During his five decade career, Louis Prima recorded almost one thousand individual recordings released on 26 different labels. Louis provided the voice of King Louie in the award-winning Disney production of The Jungle Book in 1966.The film was nominated for an Oscar, and Louis received a gold album for the soundtrack recording. Louis Prima continued to break attendance records at The Sahara Hotel, The Sands Hotel, The Hilton and Tropicana Hotels in Las Vegas, Harrah’s Reno and Lake Tahoe, The Copacabana in New York, and prominent venues throughout the country during the 1960s and 1970s. He also appeared constantly on every mainstream television show including The Ed Sullivan Show, The Tonight Show starring Johnny Carson, The Joey Bishop Show, The Merv Griffin Show, The Dean Martin Show, The David Frost Show, and many others. His final musical projects were uncompleted score and dialogue sessions for the Disney film The Rescuers. The diagnosis of a benign brain tumor in late 1975 promptly halted his very active recording and performance schedules. The surgery that followed would send Louis into a semi-comatose state until his death in 1978. His legend and music live on in full force. Louis’ award winning composition Sing, Sing, Sing was inducted into the Grammy Hall of Fame in 1982. ASCAP posthumously awarded Louis their prestigious Songwriter’s Award for A Sunday Kind Of Love in 1989. Artists as diverse as David Lee Roth, Reba McEntire and Brian Setzer would bring Prima’s music to the top of the charts in the 80s and 90s. Popular modern performers such as Jessica Simpson, Big Bad Voodoo Daddy, The Royal Crown Revue and many others have constantly covered Louis’ music. His ground-breaking Capitol album, The Wildest, was inducted into the Grammy Hall of Fame in 1999. The Louis Prima Capitol Collectors Series compilation CD was certified gold by the RIAA and his Live From Las Vegas CD landed on the Billboard Top Jazz Album chart in 2005. The Louis Prima Centennial Celebration is underway throughout the year of 2010 for the millions of Prima fans at special events spanning the globe, on radio stations around the world, and online. This landmark year also brings several special honors recognizing Louis Prima for his many entertainment contributions along with his music featured in the 2010 Olympics, in several major motion pictures, television shows, commercials and video games! Special commemorative editions of the classic and exclusive Prima Label recordings by Louis Prima now available on remastered compact discs at www.LouisPrima.com. Louis Prima, Jr. and Lena Prima continue to perpetuate their father’s grand tradition of exhilarating live performances, thrilling standing-room-only audiences from coast to coast. For information on the “Walk the Walk” festival and other 50th Anniversary celebrations visit www.WalkofFame50.com.